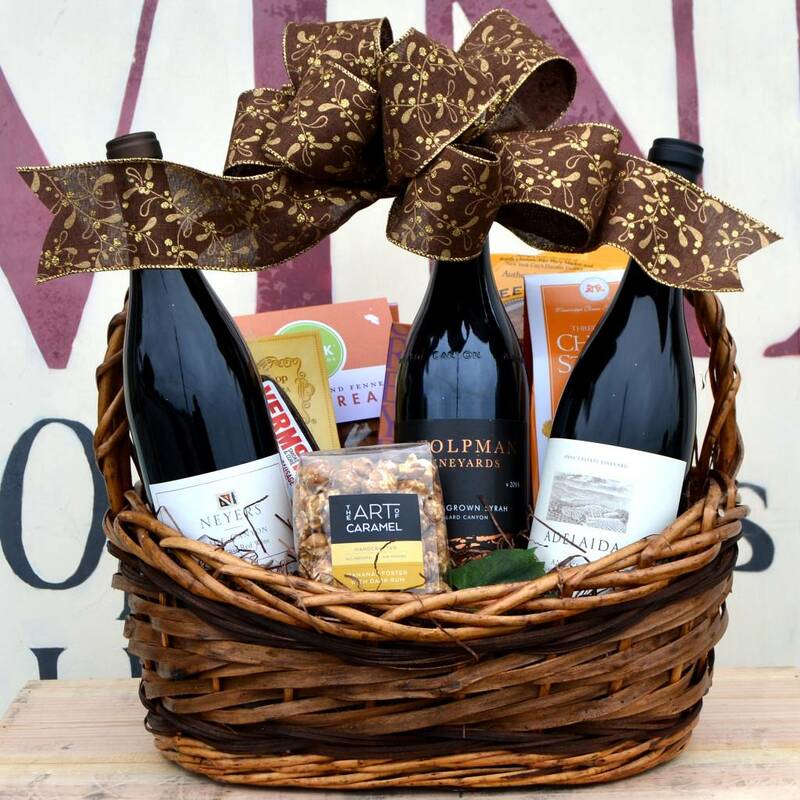 Wines from Stolpman, Neyers and Adelaida are center stage in this Rhone-Style basket, accompanied by a scrumptious array of artisanal treats! We have Stolpman Syrah, Neyers Sage Canyon Red and Adelaida "Anne's Red surrounded by Beecher's crackers, Lark cookies, cheese straws, Art of Caramel caramel corn, Seattle Chocolate Truffles, Vermont summer sausage and Peanut Shop peanuts. The perfect gift for any Rhone Lover!